Pins are everywhere this year, and it's not hard to see why: they're super cute, they look great on denim jackets or on backpacks, and they're cheap and cheerful. They also make great stocking filler for friends and family because there are pins to suit all tastes. We've collected just a small selection so make sure to check out the full directory to see more! A pin inspired by holiday camping adventures, sunshine, travelling, fond memories and tea in tin cups! This pin is sunshine personified! There is no subtlety in a big ball of yarn and they come in so many colours. Perfect for knitters! A super glossy hard enamel pin badge, this graphic diamond pin design has a shiny gold finish and is available in bright pink, black or white enamel. 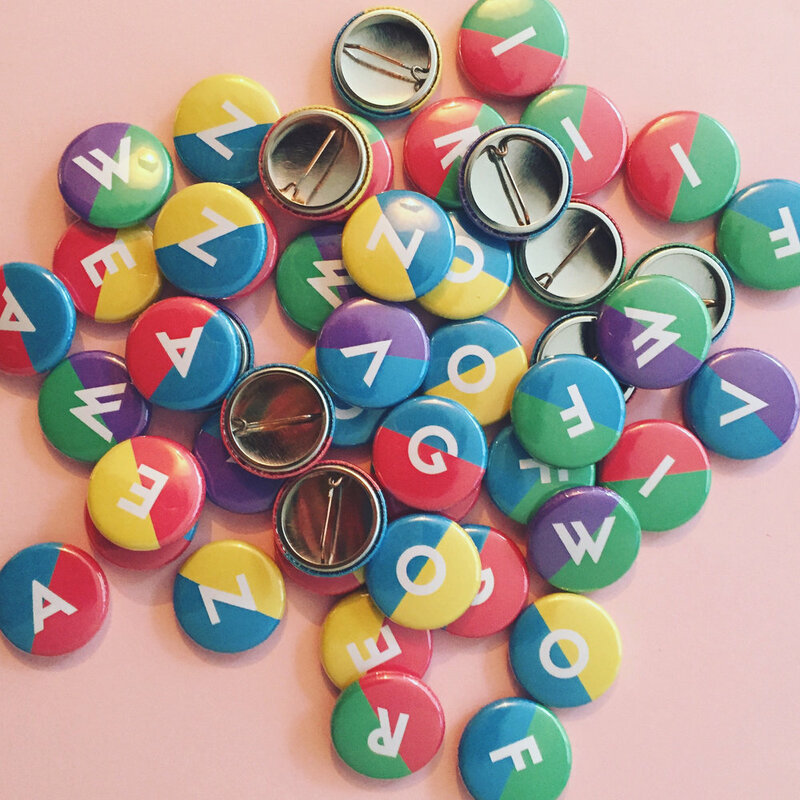 Colourful little letter badges, mix and match to spell out a word or a name, it's up to you! 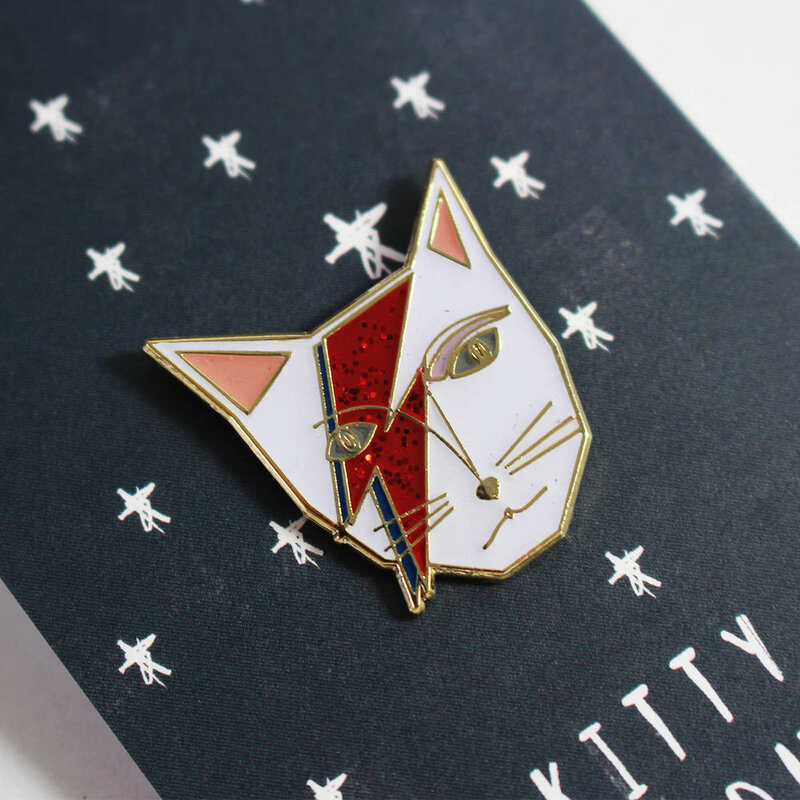 The 'Kitty Stardust' pin would make the ideal gift for any cat and music lover, of which there are many! This gold and white enamel pin is the perfect shiny accessory pop it on your dungarees for a big cat cool vibes! Dec 12 Gift ideas for under £10 - perfect for Secret Santa or Stocking Fillers!